The Commercial Appeal got it wrong on a number of accounts. Fact is, there's plenty of room for despair, no matter how you spell it. 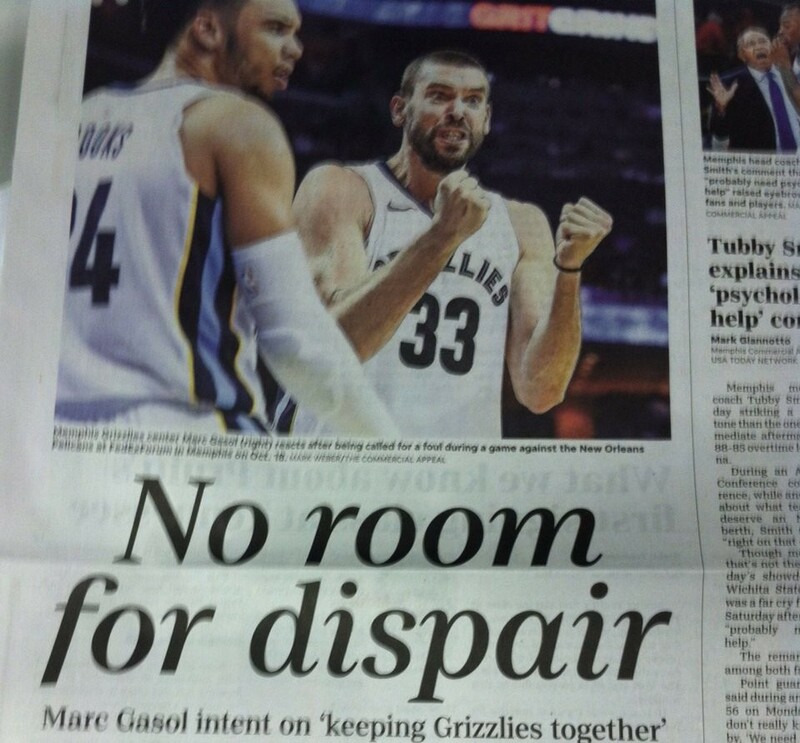 Even if you're not a subscriber and didn't see it in person, you've probably already seen Tuesday's most egregious error making the rounds on social media. I was too depressed to post about it yesterday. I'm out of jokes and tired of typing sentences like, "Since becoming a Gannett property, shrinking staff, and shipping design and editing work to hubs outside Memphis there has been a noticeable decline in the quality of our daily newspaper." So write your own punchlines.